Live in Paradise While Pursuing Your Passion - SchoolFinder.com! Deciding where to spend the next two to five years studying at university can be as much about the lifestyle you want to live as the education you want to receive. 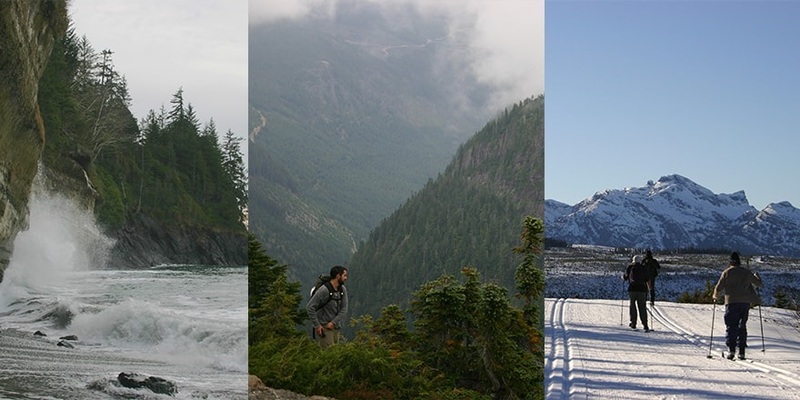 At Vancouver Island University, your classroom can ultimately be your playground. These transformative years of your youth are meant to be explored. On Vancouver Island, you’ll never run out of beautiful places to discover. Surrounded by the ocean and mountains, this West Coast rainforest attracts easygoing and friendly people. Here’s just a (very) short list of the amazing things you can do and explore while attending VIU. Spend the morning crushing the ski slopes at Mount Washington, then take an afternoon drive to Tofino to conquer waves on the world-renowned Long Beach. In the summertime, the mountain converts to a backpackers’ and downhill mountain bikers’ paradise. Bury your toes in the sand at any one of the endless beaches that stretch out across the Island. Explore the smaller islands sprinkled throughout the coast by canoe, kayak or boat – don’t forget to keep an eye out for all the whales, dolphins and seals along the way. Covered in rugged mountain wilderness and old growth forests, you will never run out of new places to get lost in on the Island. Explore one of the world’s top hiking trails, the West Coast Trail, or mountaineer through more than 250,000 hectares of untouched parkland at Strathcona Provincial Park. The Island’s enchanted wilderness and abundance of wildlife will make anyone’s Instagram feed jealous. As one of the best camping locations across North America, Vancouver Island has more than 5,000 campsites to choose from. Pick a place, any place, and you’ll find your sanctuary. Year-round fresh produce and locally caught seafood is available at farmer’s markets across the Island. And don’t forget to tour the Nanaimo Bar Trail to judge who makes the best version of the world-famous dessert! Live in paradise while pursuing your passion. There simply isn’t anything better than that. So, what are you waiting for? Grab your surf board, mountain bike, kayak, canoe, fishing rod, running shoes, backpack, paddleboard, skis, snowboard, bathing suit, and camera, and let’s go!